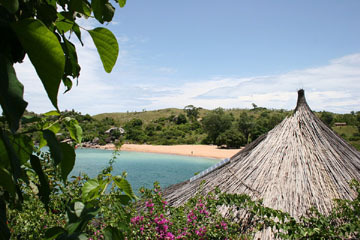 A1 Overseas International ships to Malawi! Call 1-800-450-5319 or fill out our form for a FREE price quote on boat, motorcycle and car shipping! There are many shipping companies that offer safer international auto transport for you vehicle, but not many can provide the excellent service that A1 Overseas International can provide. If you have intentions to move to Malawi in the near future, you can trust that A1 Overseas International is the vehicle shipping professional to put your trust into. As a customer of A1 Overseas International, you will have a few different shipping options to choose from which all vary in price. If you have a vehicle that is a few years old and has a decent amount of mileage on it, you might want to consider taking advantage of the, roll on roll off method of transportation. This will get your vehicle to Malawi in the same amount of time, but you can drive it right off of the deck of the ship once it has been delivered. If you have a little more money to spend, you might want to look into take the cost of container shipping into consideration. The criteria that a vehicle must meet in order to be delivered to Malawi is not to strict unlike some countries. However, customs still have rules when it comes to having cars imported into the country. You must be able to prove that you have owned the vehicle for at least one year, only one vehicle is permitted per family and the vehicle cannot be valued higher than 500 Kwacha. Make sure to call A1 Overseas International at least 2 months prior to scheduling a ship day. Call 1-800-450-5319 or fill out the form for more information on auto transport and a FREE quote!